I love this very modern card Heather. 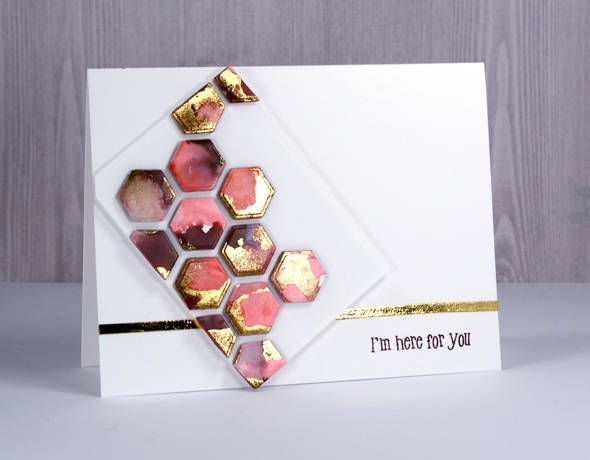 Love the colours that you have used and of course the gold foil. Heather, I enjoy this fun card, as much as all your others. Funny, I play with alcohol ink all the time, and it had never occurred to me to cut some into shapes, like you have done. You always give me great ideas, and I thank yoi.